Goan recipes are incomplete without their staple fish and meat. 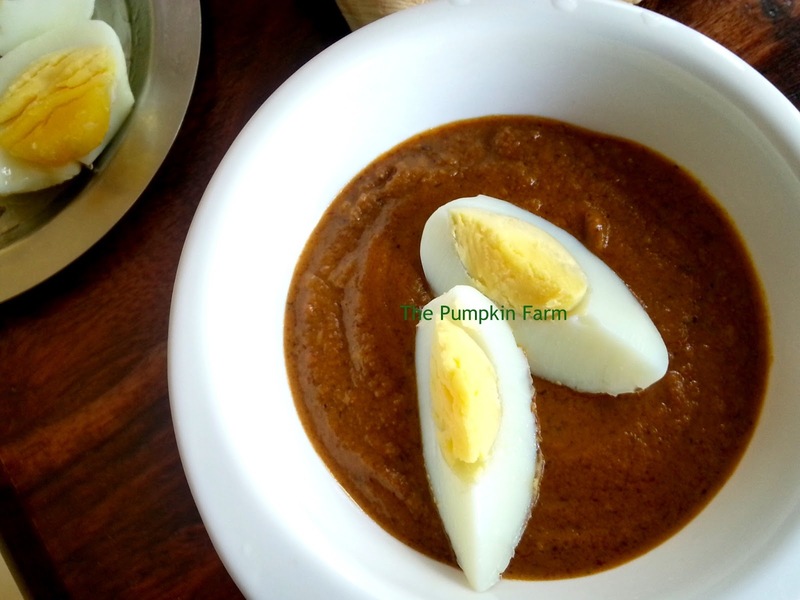 The closest I can come to fish and meat at home is using eggs although mostly in baking, I wanted to feed my son with this beautiful egg curry. So when I got opportunity to experiment this cuisine during the BM 26 theme runs, I thought about this first. I was tempted to make potato and mixed vegetables but knew the flavors come right only when you add something sharp and stronger smelling ingredient in it . Talking about my adventures in Goa, our daily authentic breakfast while we were at the wedding- I mentioned about here, used to be kalwan with fresh baked kadak pav( hard dinner rolls). Early morning, after bath, we were all made to sit on the floor of the long passage that was closer to the kitchen. Then, someone quickly served us with hot tea and a dish containing the kalwan usually made with black eyed peas or other local variants. It used to be the best tasting kalwan. Fulfilling enough for us to sustain till early noon when we were treated with xacuti (pronounced as Shakuti) made using prawns or chicken (rarely) or some fresh catch. This time served with steaming hot rice ..
3) Saute the poppy seeds for a min in the same pan. 6) Add salt to taste and pop in the boiled eggs, Cover and let it simmer for a min. The light colors of the egg compliment the deep sauce very well. haw yau go? Bare dista. Did your son enjoy it? One of my fav Goan food is chicken xacuti, egg xacuti sounds interesting and cant wait to make some. The pictures are looking so good...hope your son liked this.. The pictures looks interesting. 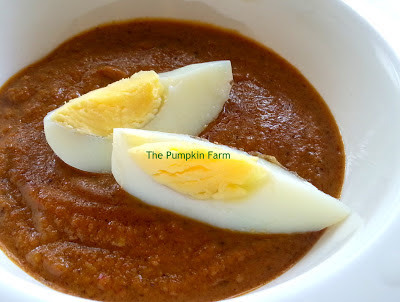 Though i never eat eggs they look very cute in your dish..
Al most the ingredients are same as I do egg gravy but the method is different and interesting one. For a non-egg eater like me, that pic is too tempting :-) Xacuti does rule the roost in most Goan kitchens, but never knew till this BM that a veg version also existed ! Your version of xacuti is quite different from mine. Adding eggs sounds delicious. I'm going to try your version soon. Pics are too tempting. Very well pictured. I love the flavours in this dish & looks very delicious. 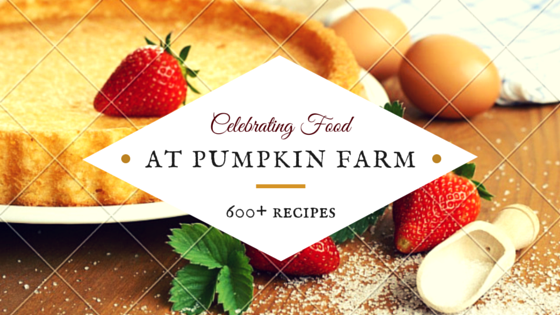 Folks why don't you post your comments after trying out the recipe?